Place pork loin, jalapenos, and tomatillo salsa in a slow cooker. Cook on high for 3 to 4 hours, or until pork is no longer pink and shreds easily. Remove pork from liquid. Cool for 20 minutes. Shred pork, discarding any visible fat. 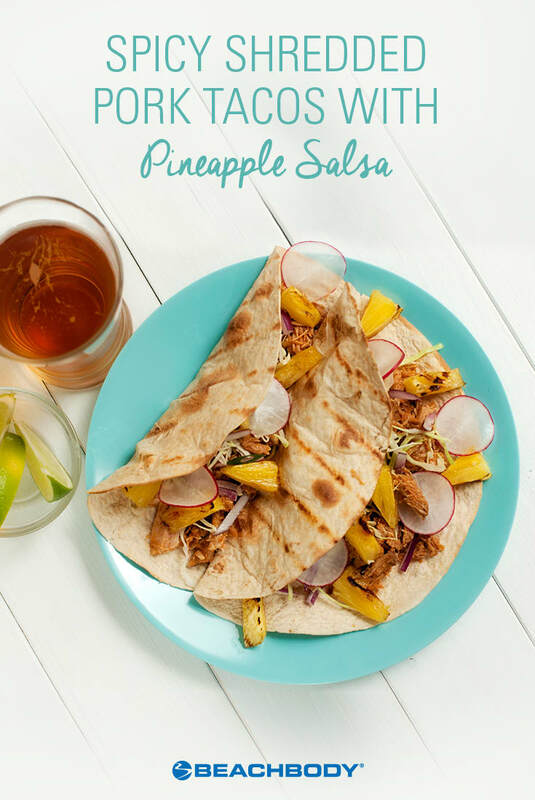 Combine pineapple, shallots, lime juice, and cumin; mix well. Set aside. Top each tortilla evenly with pork, salsa, and radishes. Add veggies for a great lunch.